In recent address to the Mapuche indigenous population, Pope Francis implored the community to refrain from violent demonstration. Before the papal address, he was received with the firebombing of three churches with no recorded injuries. This week hails the return of a presidential administration known for aggression, while the past several weeks illustrate the reignited conflict surrounding the Chilean government’s use of anti-terrorist tactics to prosecute demonstrators. In the South of Chile, urges for peace collide with outcries for change. The Araucanía Region hosts this conflict. The region is composed of subsidized tracts of land purchased by private developers disputed by the indigenous populations. The commodification of this territory followed the administration of General Augusto Pinochet. His regime was toppled in 1990. The Chilean economy has since grown to be heavily extractive at great cost to the Mapuche, according to Silverio Loncopán, a community leader in a region adjacent to the Trancura river. As the first Latin American country to join the Organisation for Economic Co-operation and Development (OECD), Chile maintains a forestry industry that makes up thirteen percent of the national gross domestic product alongside sustainability initiatives targeted to rivers like Trancura. Notably, the current presidential administration of Michelle Bachelet has already mapped plans for expropriating land for 115 Mapuche communities in the past year. However, in public address, it was revealed that these plans were halted due to the tripling of prices touted by the current landholders. The most recent demonstrations of protest have come in the wake of almost a half-century of resistance that federal authorities formulate as criminal economic sabotage and terrorism. Associated acts include intentional burning of property, land occupation, use of explosives, and organized public demonstration. Chile’s urban sectors have popularly condemned the activism as violent, following an emblematized prosecution of eleven Mapuche community members charged with the killing of an elderly couple in 2013. These defendants were acquitted last October, but popular dissent for these actions pervades. Courts in Chile have been imposing anti-terrorism measures in the prosecution of the indigenous since 2001, but the contemporary legislation is merely amended from the same violent military regime of decades before. These constitutional statutes repeal due-process protections for the accused. A subsequent report from Human Rights Watch itemized the violations. Last year’s arrest of eight Mapuche activists without formal warrant or charge other than “illicit terrorist association” substantiates the report’s findings. 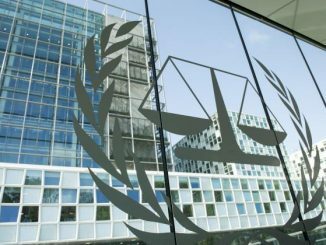 The defendants face extensive pre-trial detention, secret investigations from the public prosecutor, and faceless testimony, among other restrictions. 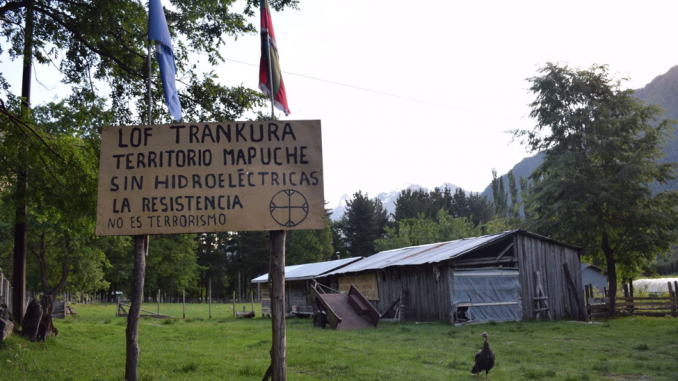 The Mapuche conflict is not isolated to Chilean borders. An expanse of territories blanketing the South of Argentina introduces even more variability for understanding this struggle. In 2012, the neighboring congress approved legislation that effectively doubles the sentences served by defendants deemed to hold “terrorist intent.” The motivations for this remain unclear and lack explicit, official address. 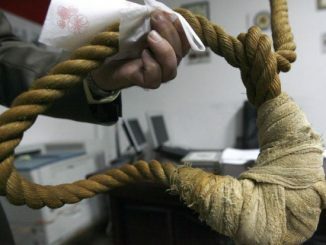 Argentine officials are deliberating on a modernization of the decade old law, but it is unlikely to bode well for the Mapuche due to a wave of public sentiment following the death of several nationals inside the US. Recently, the U.N. Special Rapporteur on the Rights of Indigenous Peoples has gone on record saying that “[c]riminalization [in Latin America] is really about using the justice system to stop indigenous peoples from pursuing their own activities and their own actions against projects that are destructive to them.” Despite repeated condemnation from organizations like Human Rights Watch , Amnesty International, and United Nations’ special counsel, the current administration has not taken significant action. Having undergone its presidential elections in December, a familiar administration headed by former right-wing president Sebastián Piñera will take office in at the beginning of this week. It is unlikely the vicious anti-terrorist statute will find reform and may, in fact, worsen as Piñera has gone on record stating, “the terrorists should not be given even a millimeter of advantage; they must be combated with all the rigor of the law.” Following Piñera’s victory, US President Donald Trump extended an invitation to the White House to discuss “issues of mutual interest.” It is vital to note Trump has demonstrated explicit harm toward native populations within the US. The most noteworthy example is the violent militarized tactics used against indigenous and environmental activists following his approval of the Keystone XL oil pipeline in 2017. If these actions set a violent precedent inside the United States, an open discourse between the White House and La Moneda Palace (the Chilean presidential residence) may warrant concern for the Mapuche. In a site visit to the Trankura, Silverio emphasized that the insular Mapuche culture is heavily community-oriented, with appropriately scaled markets that serve to bolster the collective well-being without detriment to the surrounding resources. The papal visit offered a less-than critical analysis of the Mapuche conflict. When initiatives for sustainable development undermine that economic and cultural autonomy, a framework built on “casting of the first stone” fails. 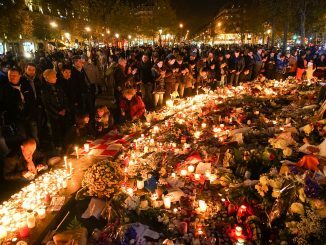 In consequence, we can not expect resolution in the coming political climate while centralized violence remains. Joshua Smith is a Junior from Johnson City, Tennessee studying Political Economy at Duke University.